The Chessmen are coming! Due to make an appearance in the Museum in September 2011. If you can’t wait that long, check them out at Museum nan Eilean in Stornoway (April-September). The Comann Eachdraidh runs a small registered museum situated in the community centre in Timsgarry. 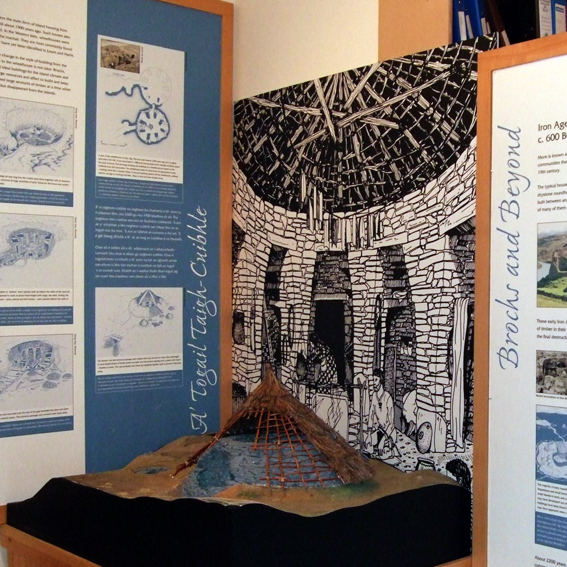 We have a number of displays covering different aspects of local history. We also have a good archive of background material available for browsing and a large collection of old photographs. The museum is staffed by knowledgeable volunteers who can help with particular queries or simply tell of the old ways in Uig. 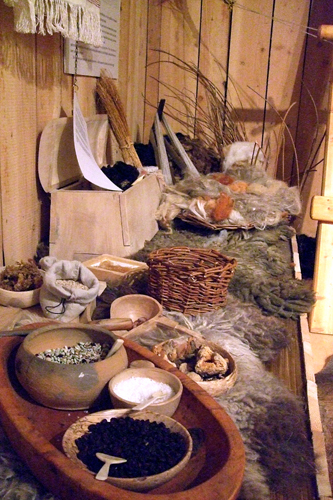 The museum also holds extensive genealogical material including croft histories compiled over many years. We are happy to help with research, remotely or in person. If you plan to visit and intend to undertake research, it may help to let us know in advance so we can arrange for the appropriate person to assist you. Please also have a look at Hebridean Connections where much of our collected genealogy is available online. Groups are welcome (prior notice is preferred) and special activity days can often be arranged for school groups. See our local school’s visit here. The museum opens for the summer season on Wednesday 27 April 2011 and will be open Mondays through Saturdays, 12 noon to 5pm. Alternatively, please email Sarah to arrange a visit. Museum admission: Adults £1, members and children free. Aiteamh na gaoithe tuath air an t-sneachda — tuilleadh a chur ‘na cheann. The north wind’s way of thawing the snow – adding more to it.